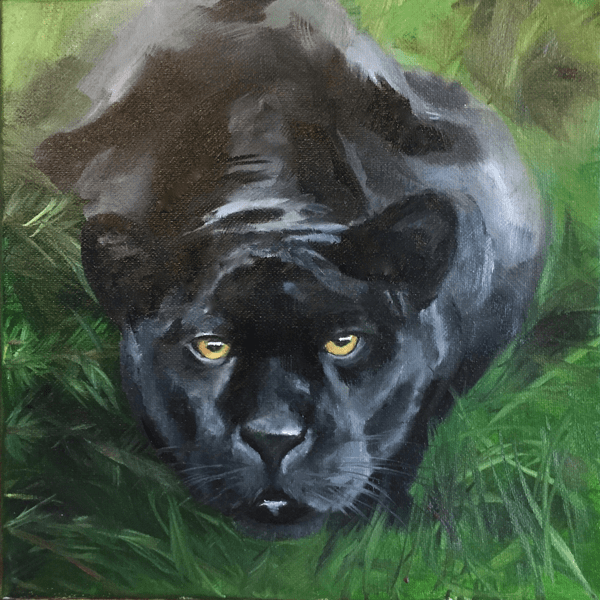 Thanks to a follower on my youtube channel, I've created a how to paint tutorial for this Black Panther; but if painting isn't your thing but you love the painting here is your chance to have this beautiful painting in your home! Could you imagine being the person this black panther is stalking? Strength, power, stealth, and patience are the 4 qualities that I saw when painting this black panther. I can see this piece on office walls commanding the attention of the owner's visitors.